What's my cup of tea? A good looking cup! What’s my cup of tea? A good looking cup! Hello guys! Today I enjoyed during my lunch a cup-of-soup. These are small packages of instant soup to which you just need to add hot water and they’re ready to be eaten. They may not be the healthiest option and I don’t recommend using them too often, but they’re just perfect for when you need a fast, to-go lunch that doesn’t require cooking. And the best part? You can have it in a cup! 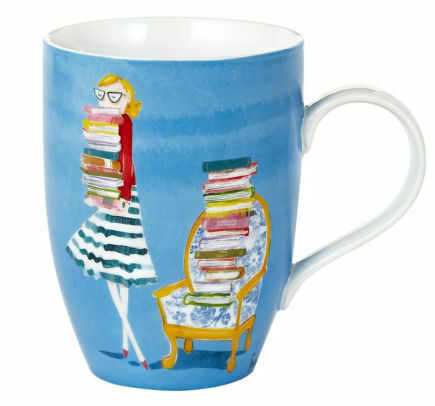 And when choosing one of my many cups or mugs from the cupboard I decided to write an article about a few gorgeous mugs that I have found online and saved on my wishlist. For those of you who consider that you never have too many mugs or cups and enjoy beautiful and unique designs for these products, this article will be a delight! 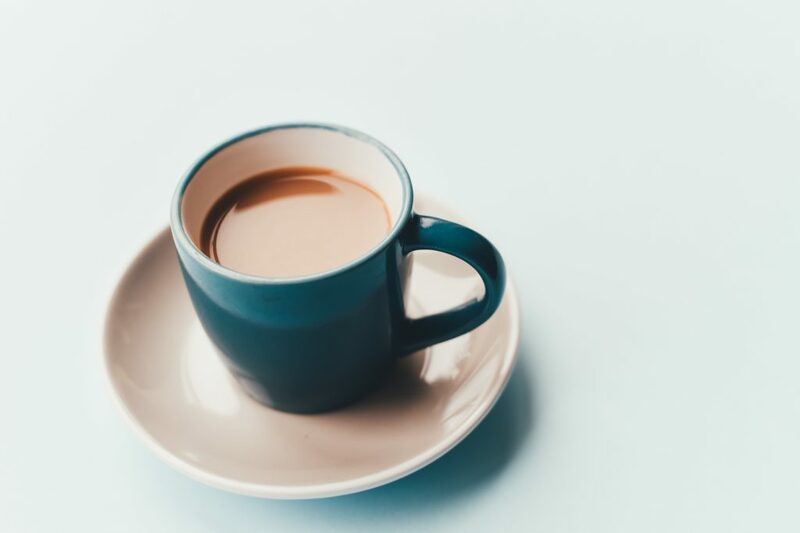 It doesn’t matter if you prefer coffee, tea or even if a warm cup of milk is your preferred choice of beverage, these mugs and cups can accommodate the liquid of your choice. Having a great mug in the house is also a good way to stay hydrated, because you will want to use it every single day and every chance you get. Who doesn’t like owls?! Well, I am sure that some of you may not like them, but this product goes out to those of you who do. 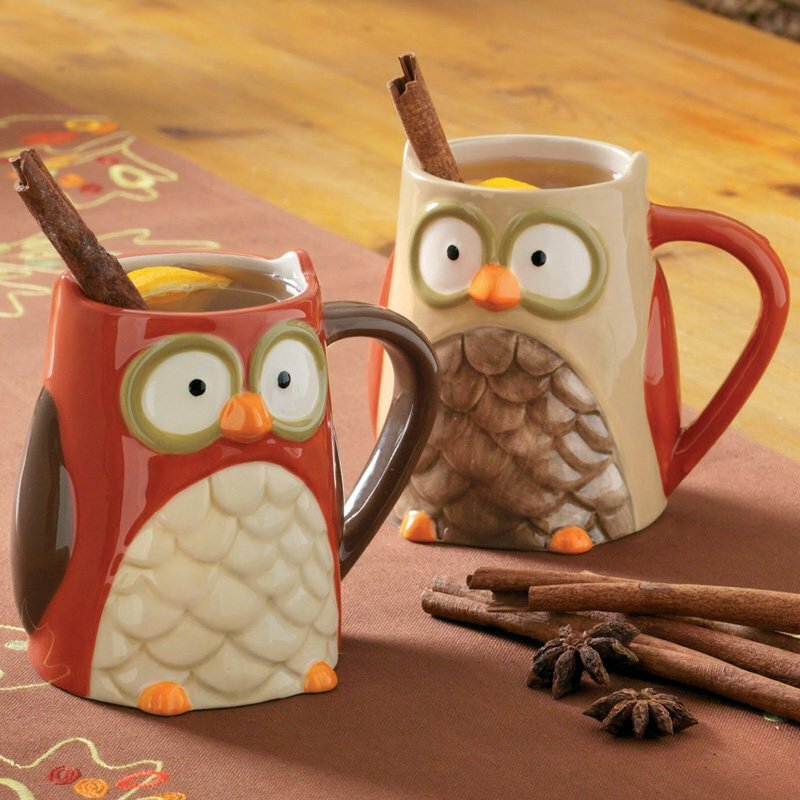 With a gorgeous, colorful and friendly design, these mugs can be a fun addition to any cupboard and any kitchen. Not only do I like their design, but also the shape and size seems to hold a decent amount of liquid. I would love to add these to my collection and I hope you’ll like them too. Geek alert! If I haven’t mentioned this so far, I have to say that I am a bit of a geek and soon, I may be featuring more products from this sphere. I hope that I have at least a few fellow geeks among my readers that will enjoy the products I display. But getting back to this current product, who can admit that they didn’t like R2D2? I tell you who! No one. 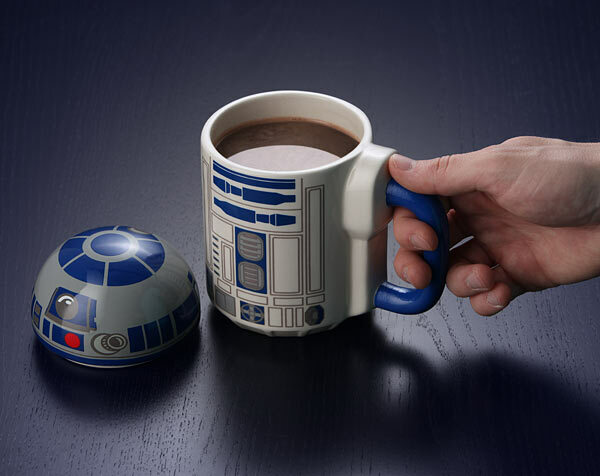 He is a lovable character and one of the next best things to having an actual R2D2 robot around the house may be this lovable mug. He can keep you company during your morning coffee and help you stay hydrated all throughout the day. This next mug is more on the simple side. With a simple yet motivating quote and a simple and childlike drawing of the earth in between its words, I have to say that I wouldn’t mind to read and see this every morning after I wake up. Sometimes a simple white mug with a unique touch can be just enough to brighten your day and keep you going on. If you like this product be sure to hurry up and buy it because it is sold on Etsy and it can be sold out at any moment. 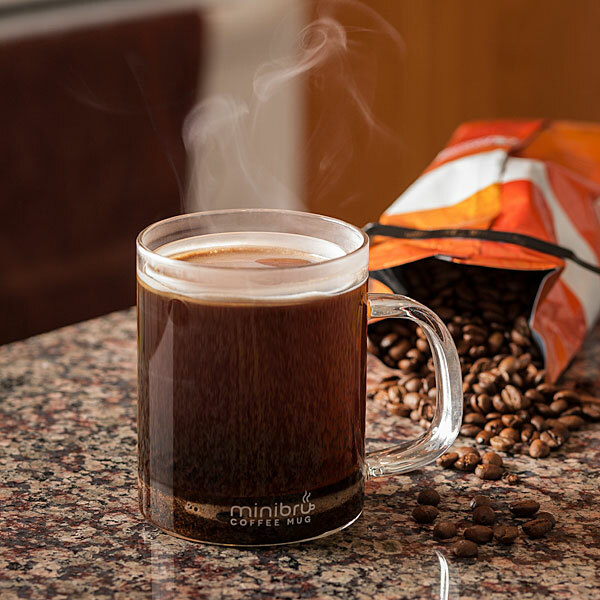 From a simple mug we move on to a mug that can simplify your morning, day and life. I found the perfect mug for coffee lovers that directly brews your coffee. You just have to add ground coffee, hot water and then use the press to finish your perfect cup of coffee. This can simplify your morning routines if the coffee is just for you and help you save a few minutes so that you can sleep a little more. Another thing that I really appreciate in a mug, besides its shape and design is the image, print, painting or however you want to call it. 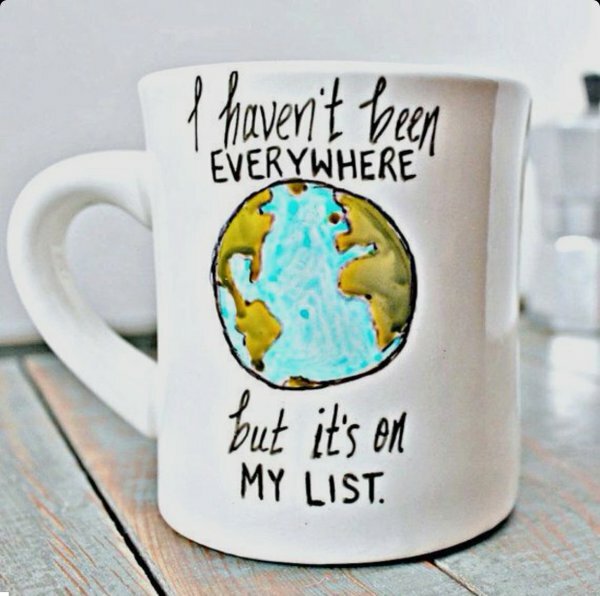 And this is what I appreciate most in this mug. The gorgeous blue background and drawing of what I assume is a librarian carrying books, a few piles of books and a very cute cat places on one of these piles makes me just smile every time I look at it. 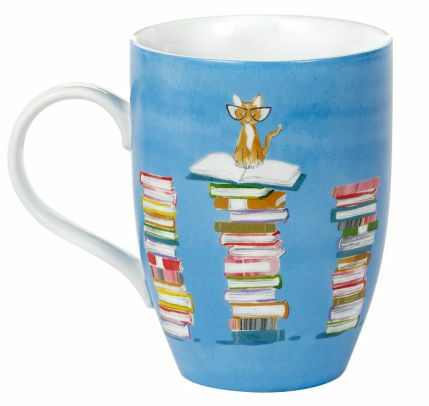 If you are a book lover this mug is perfect for you and can be the best companion with a soothing and warm liquid to a great book. Since I presented a mug that was especially made for coffee, it was only natural that I show you a mug that is made especially for tea. 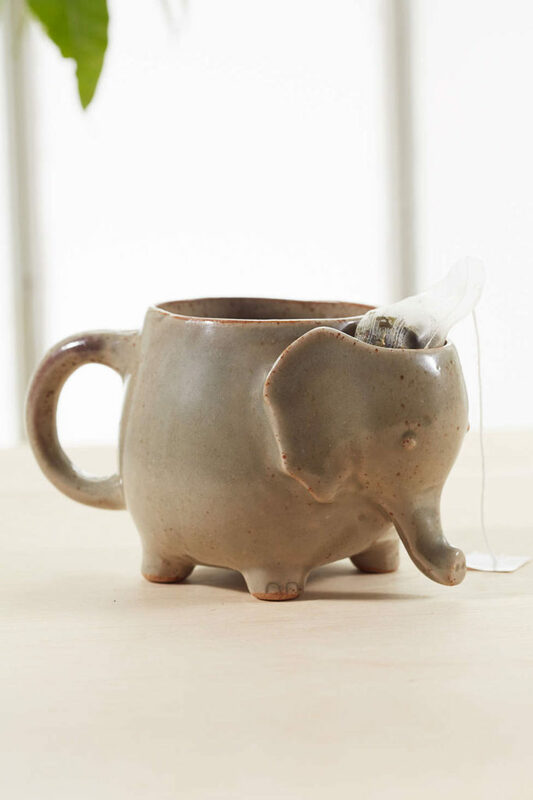 This simple and beautiful elephant shaped mug is the perfect keeper for your tea and it even has a special place to hold the tea bag after you use it. This results in less mess and more enjoyment for you and your soothing cup of tea. Well guys, I thank you again for being here with me for another article. I have to admit that it was kind of a short one but I hope it was also a sweet one. Be sure that it will not be the last article about mugs and cups because it would have been impossible to include all the products that I have found and liked online in only one article. I hope you stay tuned in order to find more products you like to buy and have. Have a good day and a beautiful home! This article’s featured photo comes from Annie Spratt at Unsplash.